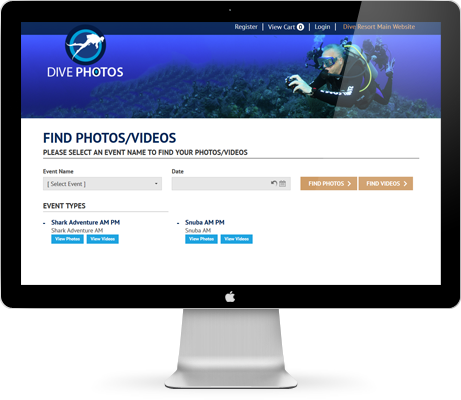 Complete solution to upload, sell photos and videos of customers on dive site taken by the dive site professional photographer or other staff. Create customizable packages, so that customers can buy according to their requirement. Ability to customize the front end display of the website. Create and manage coupons for additional discount. Ability to send discount coupons by email to registered customers. View Orders /Revenue reports by date. Ability to export reports to CSV and excel files. 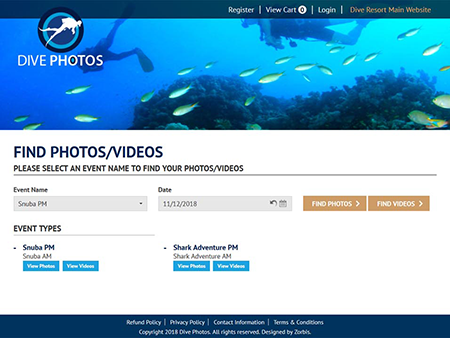 Create categories or events by date, so that Site staff can upload the photos and videos under those categories. 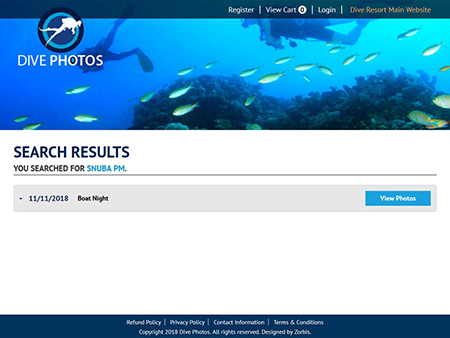 Images can be watermarked for additional security and to manage copyright. Ability to resize and crop images. Only Thumbnails and watermarked images will be shown for listing. 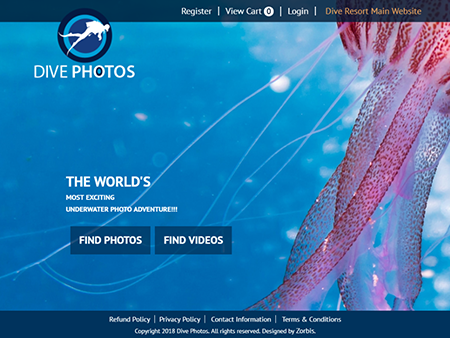 Customers will be able to search their photos and videos online. 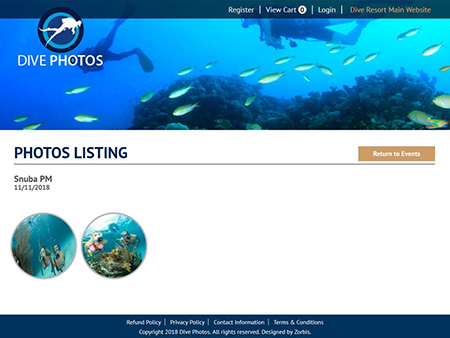 All the watermarked images and videos will be displayed in the listing. 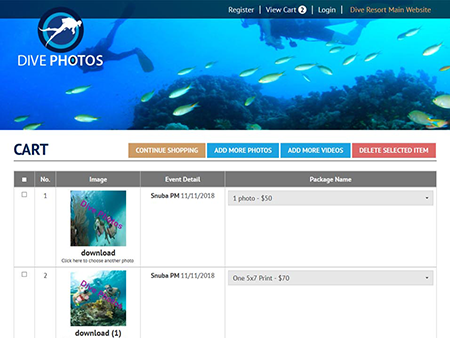 Customers can select the photos and videos and add to the cart. Customers can either signup or checkout as guest. 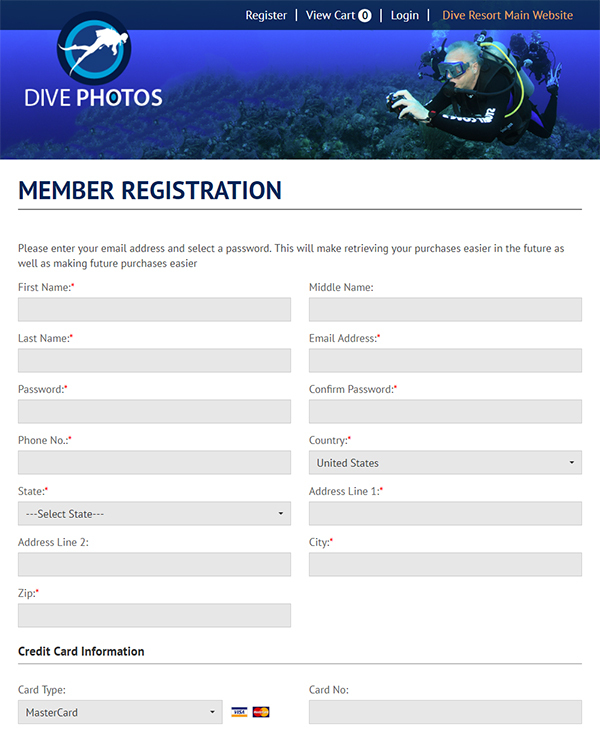 Digital copy of the purchased photos will be directly emailed to the customers. Physical copies can be shipped at additional cost.